What’s in Rory’s Wells Fargo winning bag? american golf News: What’s in Rory’s Wells Fargo winning bag? Rory McIlroy once again used his Nike Vapor Pro Driver to devastating effect as he became the first player to win the Wells Fargo Championship twice. The World No. 1 golfer utilised a bag full of Nike Golf clubs en route to his 21-under finish. McIlroy broke his own course record at Quail Hollow with his third-round, 11-under 61. Averaging 321 yards off the tee, McIlroy showcased his Nike Vapor Pro driver which blends three key technologies: Nike’s new FlyBeam reinforced Covert Cavity Back design, a re-engineered Compression Channel and FlexLoft 2. 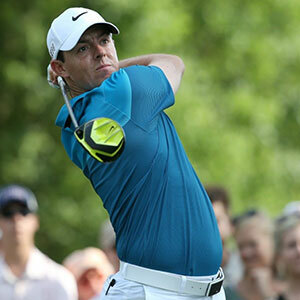 McIlroy relied on the Nike RZN Black golf ball for control and accuracy. The ball features an innovative Speedlock RZN core which was created with an interlocking core design to help promote better energy transfer between the layers at impact for faster ball speed, longer distance and more stability into the wind. McIlroy sported apparel from Nike Golf’s performance collection as well as the Nike Lunar Control 3 shoes. The win is McIlroy’s 11th on the PGA Tour, with his 10th coming just two weeks ago at the WGC-Cadillac Match Play. It also marks his fifth top-10 finish in just seven starts this season.